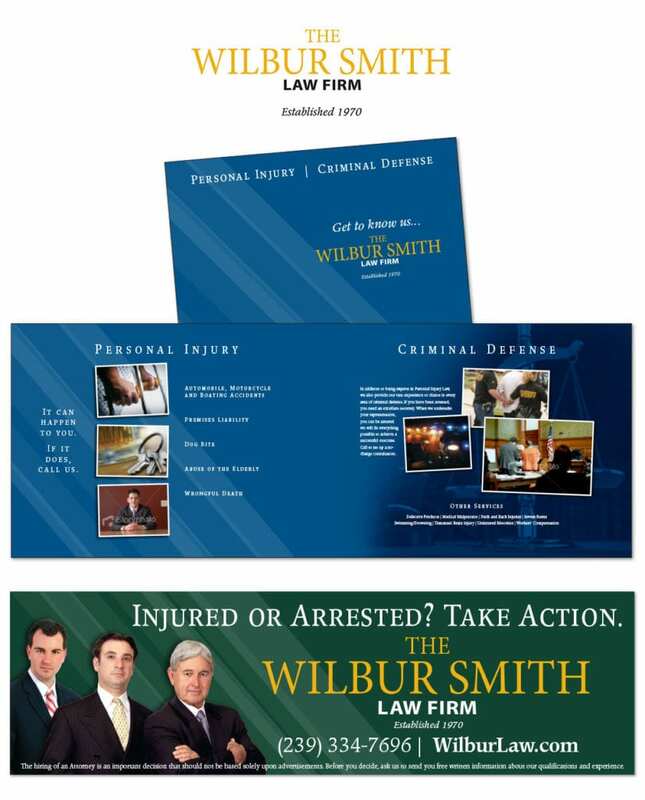 The Wilbur Smith Law Firm is well established and well known in the Fort Myers, Fla., area, but the firm did not have a cohesive, up-to-date look and feel for its marketing collaterals. In addition, the firm’s multiple partners bring just as many personalities to the table, giving us the challenge to create one unified and cohesive message. The Agency created a very professional image and brand, incorporating it into a brochure, brief video and outdoor advertising that encouraged Clients to “Take Action” by calling the firm, and by extension, defending themselves with the firm’s expertise.